The Contour Pillow was designed over 25 years ago and continues to offer creative ergonomic designs to help you sleep better and without pain. 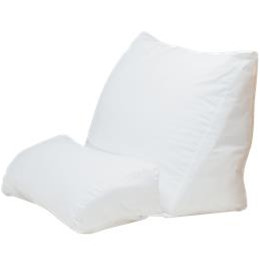 Don't suffer with neck pain or body aches - start with a well-designed cushion to provide the support your body needs and start eliminating problems before they begin. Package Dimensions 20" x 17" x 16"